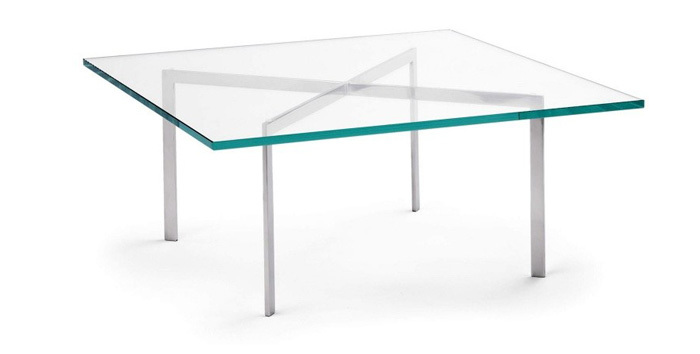 This was originally called the « Dessau table ». But with tha passage of time its name changed and is now called « Barcelona Table ». It first appeared a the Tugendhat House, Brno, Czechoslovakia. This table was first manufactured and btought to the market by Berliner Metallgewerbe Joseph Muller. In 1931, its production was moved to Bamberg Metallwerkstatten, Berlin. 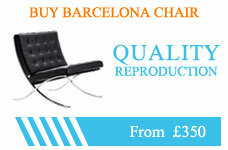 The table is the perfect compliment to the Barcelona Chairs from Ludwig Mies Van der Rohe. Its assembly requires minimal effort and you can use Barcelona Coffee Table anywhere you wish to in your house.